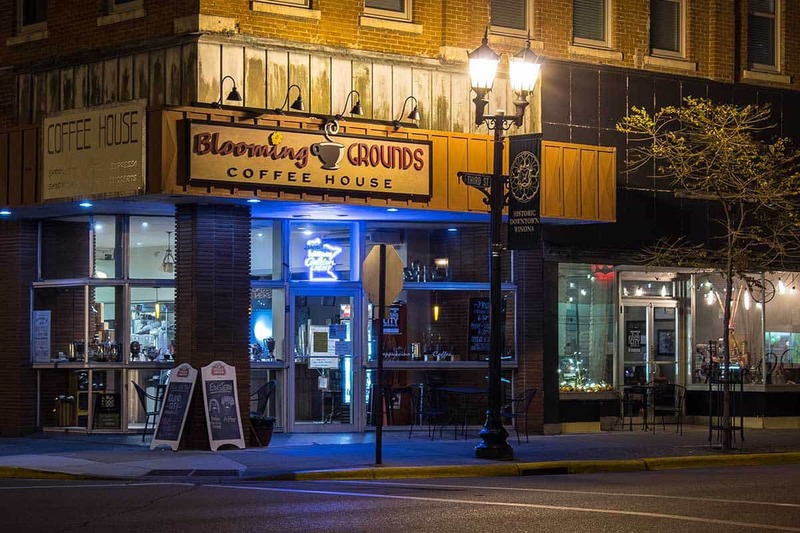 Blooming Grounds Coffee House is located in the heart of downtown Winona, MN and was established in 2003 with its doors opening on Labor Day. After getting a degree in Criminal Justice, owner Amy Jo decided to follow her passion for baking and working in customer service by opening a coffee house and mixed a cozy atmosphere with homemade baked goods. Welcoming all walks of life this unique Winona cafe serves a very large variety of coffee, tea, smoothies and blended drinks just to start. Opening early in the morning proves to be a go to breakfast spot for our customers. Lunches are served with paninis, wraps, home made soups and large fresh salads. Dinner time one will find pizzas and small appetizers along side local craft beers and wines by the glass or bottle. Our bakery case is full of hand made desserts that please the youngest or oldest of hearts. Blooming Ground Coffee House also offers on and off site catering options for all your corporate or private events. Our downtown location also has a variety of live music, crafting/art classes and local artisan items for purchase. 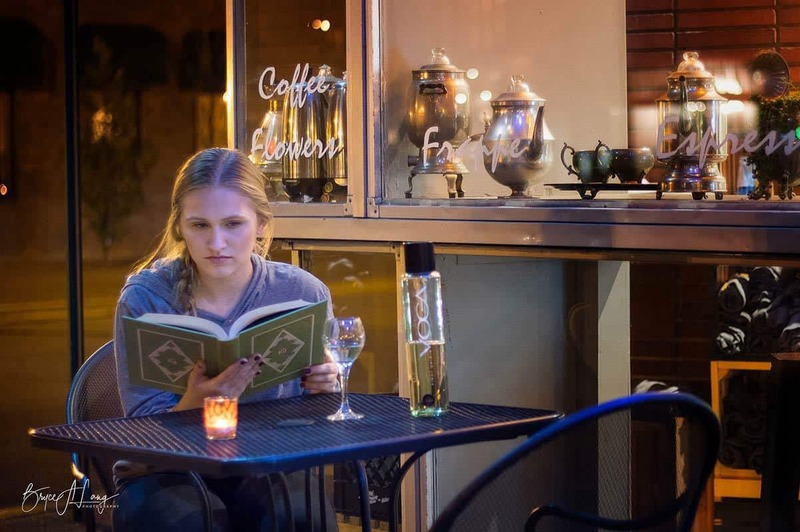 Check out our menus online, or get directions to stop down and enjoy a friendly, relaxing atmosphere of this MN cafe!